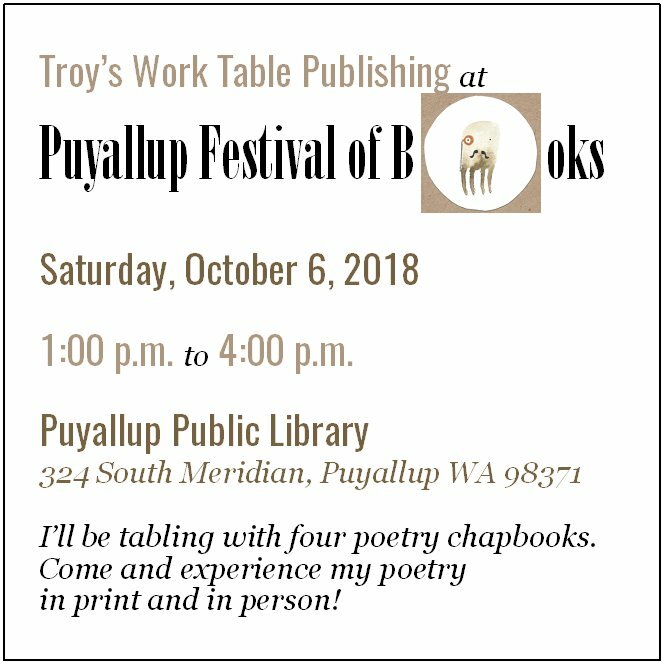 Troy’s Work Table Publishing will be at the 2018 Puyallup Festival of Books, from 1:00 p.m. to 4:00 p.m. on Saturday, October 6, 2018 at the Puyallup Public Library. I’ll have four poetry chapbooks* for sale, as well as mini poetry zines and CHTHONIC coloring books. New mini poetry zine Cape Disappointment will make its debut.